This week began with some truly terrible news coming out of Monday with the passing of Stan Lee. It was shocking and heartbreaking for so many of his fans, as the 95-year-old had a hand in so many childhoods spanning several decades. Lee helped to create and promote many famous Marvel superheroes over the years, with many of them more popular now than ever thanks to their use in big-budget Hollywood movies. It would seem that with Lee's passing, we've seen all of his creative contributions, but that might not be the case after all. According to daughter J.C. in a new interview, Lee helped to create one last superhero. "I've been trying to get him to create a character with me his entire life. We've been working on a character called Dirt Man," J.C. Lee revealed. After creating the character, J.C. had her father helping develop him further, providing his input as recently as this last weekend. For now, all we know about the superhero is his unique name, which already sounds completely unlike any of the popular characters which can currently be seen in Marvel movies. His backstory and abilities still remain a mystery, but J.C. is planning on moving forward with the project following her father's death, hoping to see it one day be developed as a feature film. As the very last character the creative genius ever helped to create, Dirt Man is certainly special, and it's something all of Lee's fans will want to see. Additionally, J.C. says she's working on a charity foundation called the Stan Lee Childhood Literacy Foundation. She says how Lee took his craft very seriously, and how the written word is extremely important. This is certainly fitting for someone who helped place comic books into the hands of so many buddying readers over the past several decades. Saying goodbye hasn't been easy for fans and even more difficult for J.C., but this will serve as a great way to help keep Lee's amazing legacy shining bright. 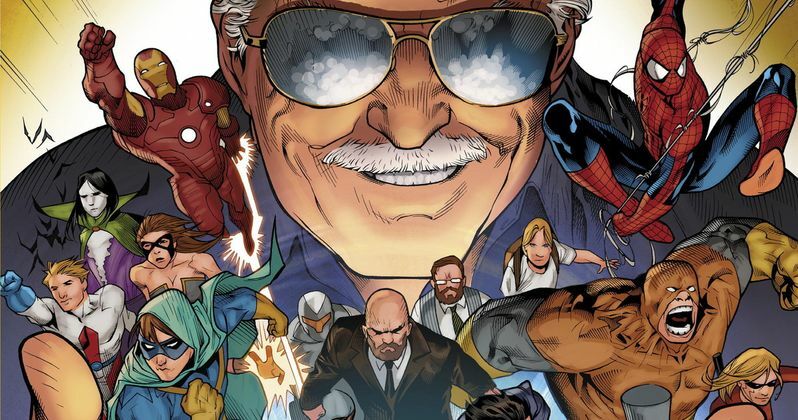 Some of Stan Lee's most famous contributions include work on Spider-Man, the Fantastic Four, the X-Men, Hulk, Black Panther, Doctor Doom, Iron Man, and so many more. As we all know, superhero movies are now among the most popular movies in Hollywood, with each one seeming to shatter box office records. It was not uncommon for Lee to appear in special cameos in all of the Marvel-based superhero films, recently showing up in a small role for Venom. Lee reportedly already filmed his cameo for the untitled fourth Avengers movie as well, meaning we'll get to see him one more time. Stan Lee passed away on Monday soon after being rushed to a local hospital. He is preceded in his death by his late wife Joan, who died last year after 69 years of marriage with Lee. Having given so much to the world, however, Lee will forever remain a legend and his legacy will live on forever. You can listen to J.C.'s interview over at TMZ.